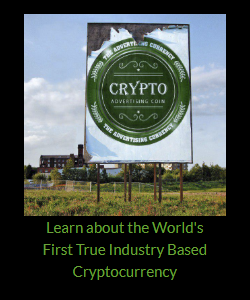 Could you provide our readers with a brief introduction to FluzCoin? We are launching a stable coin protocol built for retail transactions. Our payment platform is safe, stable, and ready for world-class global retailers. We have already partnered with several hundred global retailers, and thousands of independent retailers to accept our retail coin. We are aiming to be the PayPal solution for Crypto. What are the benefits for market participants? During ICO fundraising investor will be buying an ERC 20 token. This is the token that will be listed on all exchanges for trading. It will be priced at $0.10. After the ICO, the token holder can convert that token to Fluz Coin. That stable Fluz Coin will be used for purchasing at retail. The tokens can be turned in at Fluz Coin web portal (to be launched after ICO). When the token holder turns in the ERC20 token it will be burnt and they are issued the Fluz Coin. Regardless of when the ERC20 token is converted, there will always be a reserve for Fluz Coin on each token. At the close of the ICO, there will be 1 Fluz Coin for each ERC20 token. As the Market Cap for the Fluz Coin protocol grows, 25% of the staking rewards will be distributed to the ERC20 token reserve and thus the unclaimed ERC20 tokens will continue to accrue more Fluz Coin. Whenever the token holder then chooses to convert their tokens to Fluz Coin, they will get the total Fluz Coin that were issued to correspond to each ERC20 token. At any point in time, the ERC20 token will be backed by Fluz Coin and can be converted at any time for the full balance of Fluz Coin. As the market cap grows, the Fluz Coin backing on each unclaimed ERC20 token will continue to grow in tandem. Eunomia will maintain the conversion rate for ERC20 tokens to Fluz Coin based on staking rewards distributed to each token. Every time an investor converts the ERC20 tokens to Fluz Coin the token supply goes down. None the less, the staking rewards as a percentage of the total market cap growth remains the same. Regardless of the amount of ERC20 tokens, there will be a fixed subset of newly minted Fluz Coin will be distributed only to the unclaimed ERC20 tokens. The staking rewards will be distributed across a smaller pool of tokens. As more ERC20 tokens are converted to Fluz Coin, the remaining ERC20 Tokens will accrue Fluz Coin even faster. This design allows for the ERC20 Token price to trade above exact Fluz Coin conversion rate as there is the speculative element that Fluz Coin market cap will continue to grow. Later investors will buy at a premium hoping to earn the upcoming staking rewards. As more ERC20 tokens are converted to Fluz Coin, the remaining ERC20 tokens will accrue even more staking rewards, thus they will trade at an even higher premium, because their growth rate will be even steeper. At the same time there is the protected downside of the investor always converting over their investment to the exact exchange rate. Then they can use that Fluz Coin to buy products wherever they need. How do you plan to solve the biggest problem in the world of cryptocurrencies – excess volatility? Fluz Coin solves volatility by controlling the available float of Fluz Coin in the market by buying/selling when demand drops/rises respectively. The primary goal of the AI is to use the available funds at its disposal in a risk averse manner to maintain the price of Fluz Coin at a target price. This is achieved by using the budget available at its disposal to purchase Fluz Coin (in a risk averse manner) when the market price is lower than the target price and sell Fluz Coin when the market price is higher than the target price. This process controls and curtails the amount of volatility exhibited by Fluz Coin. What differentiates FluzCoin from a stable coin? Our stable coin is not pegged to a single currency, rather a global basket of currencies (digital and traditional) and other tangible assets as well (Silver and diamonds). On top of that our primary focus on the stable coin implementation is for retail use of the coin. We are working with several retailers to implement our stable coin protocol as a white label branded payment method. Because of our various POS integrations, we are ahead of all other stable coins for retail implementation. Unlike stable coins that are pegged to a price, Fluz Coin has target prices that the AI tries to keep up using a diversified reserve that protects against total failure by investing in various classes of assets. Rewards usage of Fluz Coin by discounts at retail and rewards holding by staking rewards as market cap grows without doing any extra work. Provides free transactions and is actively trying to achieve retail adoption by making POS integrations. Running on a separate blockchain helps Fluz Coin promise transaction speed SLAs unlike other stable coins out there. What are the main reasons you’ll succeed? Our vast team allows us to pull on expertise from all areas. Our ambitious goal requires us to address the problem from many different angles: retail, consumer adoption, legal, financial, banking, crypto Currency, blockchain, payments and more. We have assembled a team that allows us address these challenges from all the different angles. With that we are able to assign a true specialist in the field as one of our team leads. Besides that our early investors represent some of the largest retailers in LATAM. As such we already have a built-in use case for our stable coin at retail.